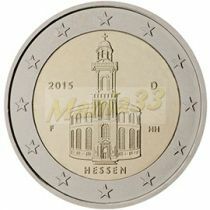 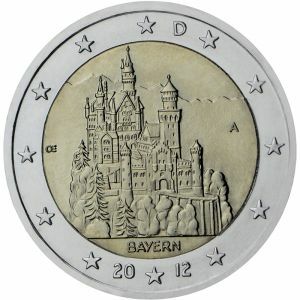 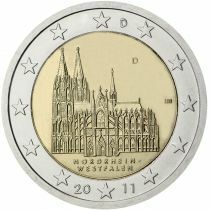 Description:The inner part of the coin, designed by Erich Ott, depicts one of Bavaria’s most famous landmarks, Neuschwanstein Castle, viewed from the east, with the gatehouse in the foreground, the romantic towers and turrets of the castle itself, and the majestic mountains behind. 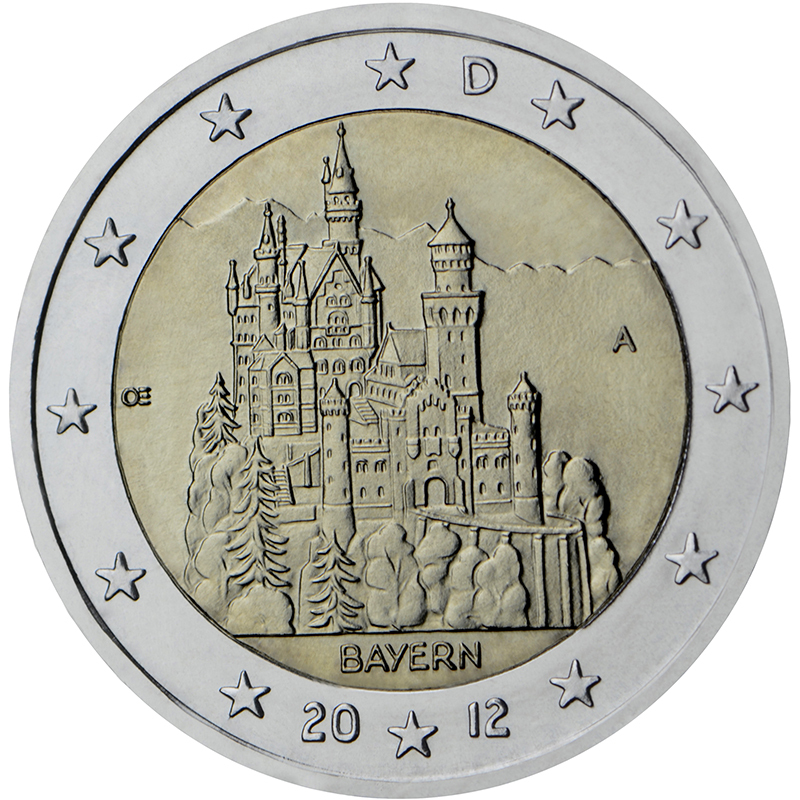 Beneath is the name of the federal state “BAYERN”. 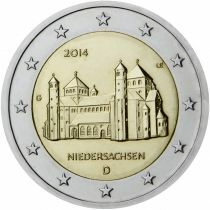 To the right is the mintmark of the respective mint (A, D, F, G or J) and to the left are the initials of the designer. 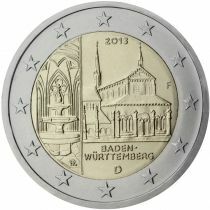 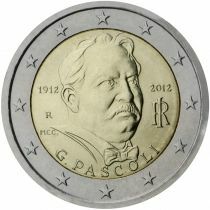 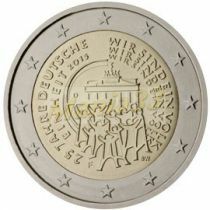 The outer ring features the 12 stars of the European Union with a “D” at the top and “2012” at the bottom, denoting the country and year of issue respectively.